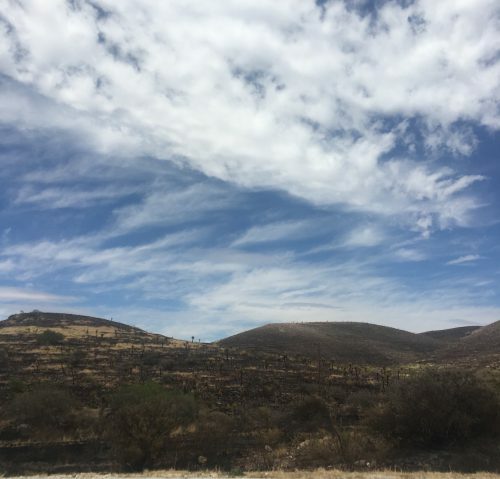 Containment for the McDannald Ranch fire is now up to 33 percent, officials said Saturday morning. The wildfire that’s believed to have been started by lightning strike early Monday has affected an estimated 18,892 acres as of Saturday morning. Crews will continue putting in protective measures in the Davis Mountains Resort area, where there’s still a voluntary evacuation request in place. The fire is a half-mile from the closest house in the DMR. Officials say there’s been a lot of work done to secure the area thanks in part to cooperation from local landowners. The fire did cross a containment line at Gearhart Ranch Friday and burned about 3 acres. That flare up is now contained and will be monitored throughout the day. An increased personnel presence has given local officials some flexibility and has allowed for nighttime operations. There are now about 280 personnel in Fort Davis responding to the McDannald fire. That includes fire crews from about 14 states across the country. Mike Duett is with a federal team that’s here to help. He says his group is usually called when fires reach a certain complexity. Apart from the terrain, the weather has also posed some issues for firefighters. Weather is looking to be hot and dry Saturday with relative humidity in the teens and highs in the upper 70s. The wind, however, will not be quite as strong as Friday. It’s shifted direction to the east, and wind speeds are expected to top out around 10 mph. You can also follow Marfa Public Radio on Facebook, or on Twitter.